Bunting, banners, pennants...nothing says, "it's a party!" quite the same as these classic decorations. With several shapes and sizes to choose from, and the ability to customize your bunting to any of our invitation suites, your party will be one to remember! 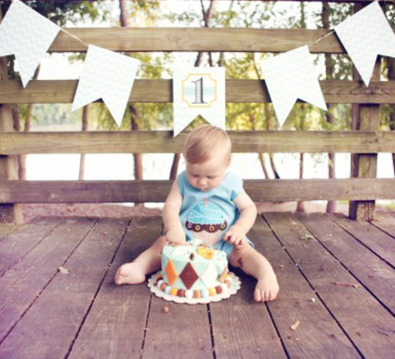 Each bunting is printed with full-color, waterproof ink on 80 lb. cardstock, comes with cord for hanging and is available in notched (shown in photo) or triangle styles. Some designs are better suited to certain shapes; we are happy to recommend the best shape for your design during the proofing process!